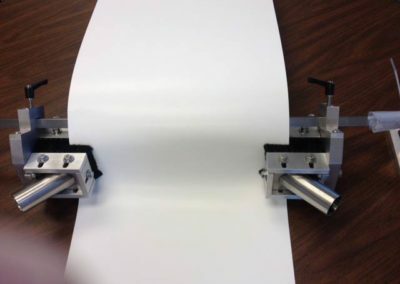 is a custom engineered vacuum system that is specifically designed to efficiently remove dirt, dust, lint, spray powder, loose paper particles and other contaminants from stocks used in commercial printing plants, label operations, paperboard box plants, paper mills and converting facilities. 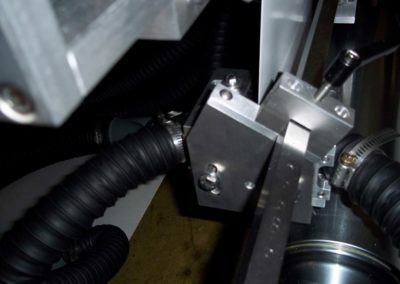 They are installed directly on production equipment for improved quality and productivity. This aids in breaking any static adhesion between debris and substrate and improves the cleaning process between 10-20%. Double row of heavy-duty brushes. The brushes dislodge debris that may be slightly attached or embossed to the surface of the substrate. Brushes are refillable. High-velocity air scrubbing of substrate. This scrubbing action is directly related to the faceplate’s design of milled and polished grooves. It is designed to create turbulence/cyclonic air action across the surface as it is being cleaned. This turbulence breaks through the boundary layer of air and keeps any dislodged debris from reattaching to the surface and keeps smaller debris agitated to permit easy removal by the vacuum. Extreme even vacuum across the entire orifice. 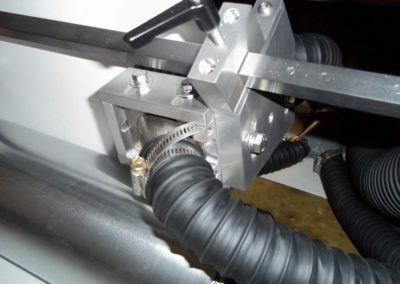 The exhauster provides extreme vacuum, enabling the system to focus airflow onto the substrate through the brushes (sealing the substrate to the brushes), thus maximizing the system’s vacuum performance. This airflow also allows the system to maintain high vacuum across the entire width of the substrate. 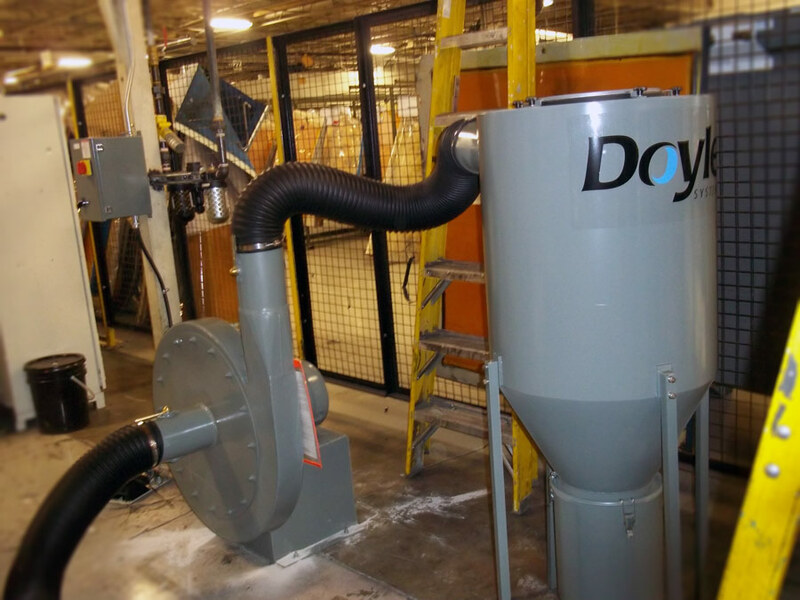 Doyle Multimodal Web Cleaning Systems eliminate downtime due to dust and contaminants impeding the process. A Doyle Web Cleaner improves productivity, enhances quality and increases savings. Our customers tell us by installing Doyle Web Cleaning Systems, they can save more than the equipment costs—sometimes in just a few months. The Doyle Multimodal Web Cleaner utilizes a cyclone dust collector which permits maintenance cycles that are measured in weeks/months, rather than hours/days. The Generation II cyclone dust collector cylindrical filter is sealed by clamps at the top, preventing dust or debris from escaping into the plant environment. This cartridge filter has more filtration and longer life over panel filters — translates to less maintenance and long term cost savings. An air purging wand is included for quickly purging the filter. Dual side edge cleaners are available to aid in the cleaning process. 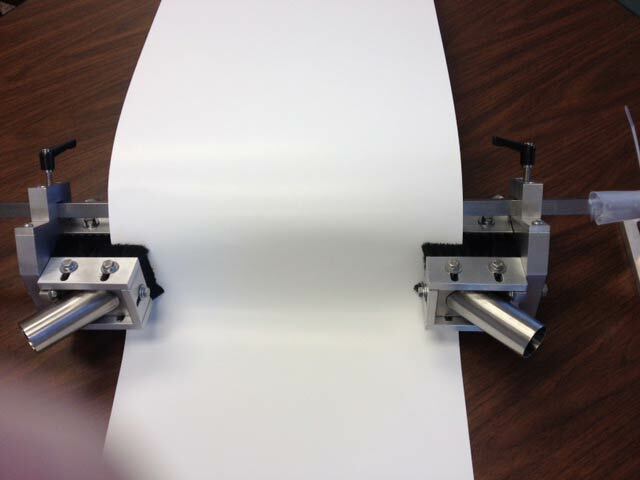 Edge cleaners are ideal when cleaning coated and uncoated board stocks 10-40 point. 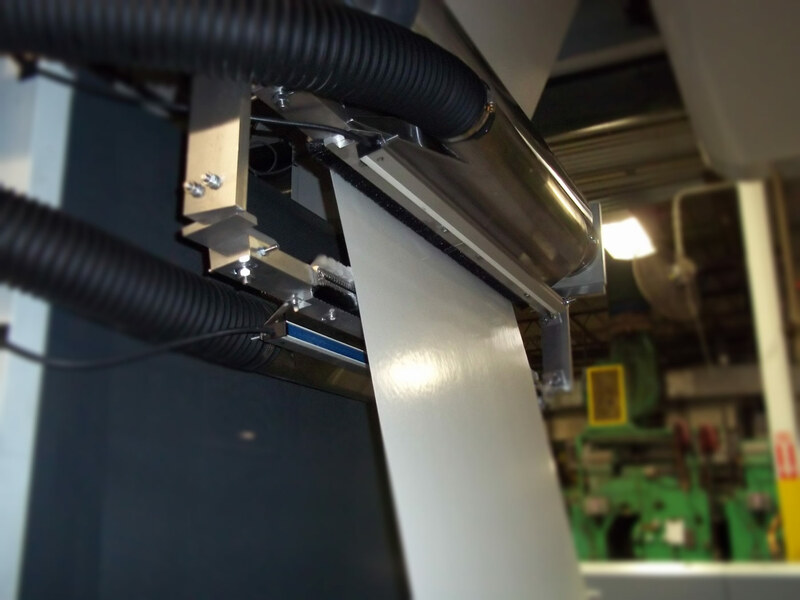 Edge cleaners combine both mechanical scrubbing, along with vacuum pulling debris from edges at 45° --- this dramatically improves the overall print and quality of any job as well as eliminating dust build up in and around the press and providing a cleaner working environment. Edge cleaners can be used in conjunction with multimodal cleaners or independently. 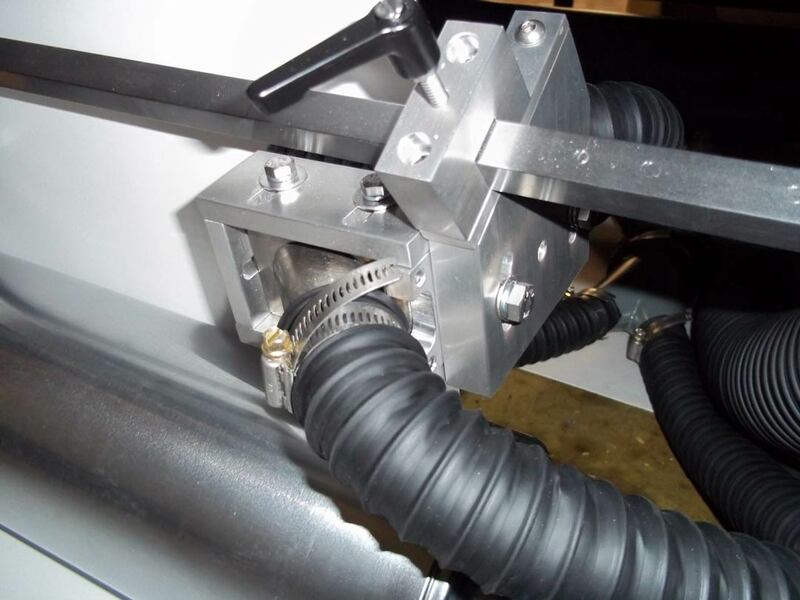 Each edge cleaner assembly is mounted on a horizontal mounting bar which allows you to adjust the edge cleaner to unlimited stock web widths. From web cleaning and sheet cleaning to surface inspection, Doyle Systems delivers guaranteed quality control solutions that free your material of dust, debris, spray powder, fibers and other loose contaminants, and helps to ensure the surface of your substrates are free of defects during the printing process.